As a Network Health Medicare Advantage member, you may be eligible to participate in our medication therapy management (MTM) program at no cost. Reduce the risk of dangerous drug reactions. Make sure you’re taking medications correctly and as prescribed. Ensure you are on the most appropriate and cost-effective medications. To be eligible for the program, you must meet the following criteria. For long-term medical conditions, you must take seven or more daily medications covered by Medicare Part D.
Your Part D covered medication must cost more than the Centers for Medicare & Medicaid Services specified annual cost threshold. For 2019, the threshold is $4,044. An introductory letter on how to get started. 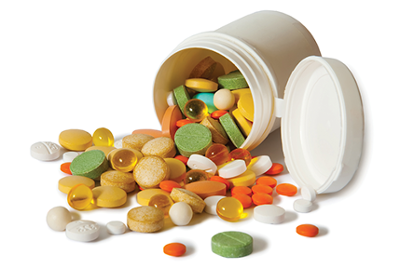 An offer to participate in a comprehensive medication review each year. Review your medications with a pharmacist or other health care professional, including over the counter drugs and herbal products. This will help you get the best results from your medicines. The review will take about 15-30 minutes and can be scheduled at a convenient time for you. During this call, any issues with your medicines will be discussed. You will receive a letter outlining the review and recommended next steps. See an example of the MTM Follow-Up Letter and Personal Medication List. This program is available at no cost to you. You may participate every year that you meet the eligibility requirements. Your participation in the program is voluntary. Although you will automatically be enrolled, you may choose not to participate. This is not a benefit of your plan, but rather a voluntary program. If you do not meet eligibility requirements and would like your medications reviewed, let us know and we can help. To learn more about the program, or to find out if you qualify, call customer service at 800-378-5234 (TTY 800-947-3529) Monday–Friday, from 8 a.m. to 8 p.m.